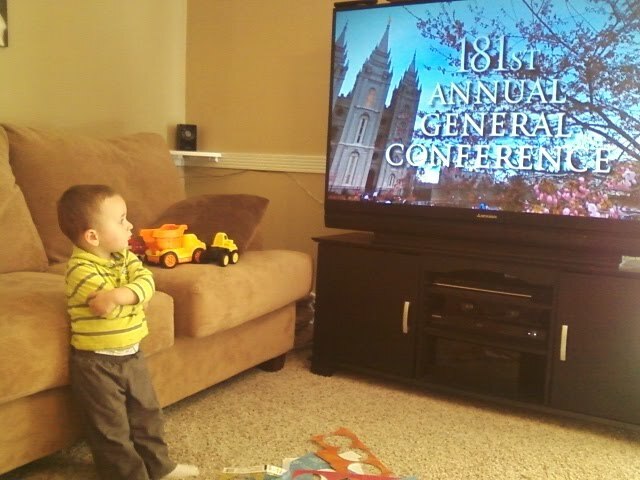 Sometimes I wonder if we are teaching Jack what he needs to know about the gospel. It's so hard to know if you are doing everything you're supposed to as far as teaching your children. It's times like this that I feel like Heavenly Father is telling me, "you're doing alright." Great picture! :) i think you are doing great job, just look at him how ready he looks to listen to the prophets :) It's amazing to be a part of Heavenly Father's work and help others to know about His plan of Happiness and to teach your own children is one of the honorable and sacred work we can do and I can't wait for the day to come when I can do the same thing you are doing right now ;) Keep up the good work!! !